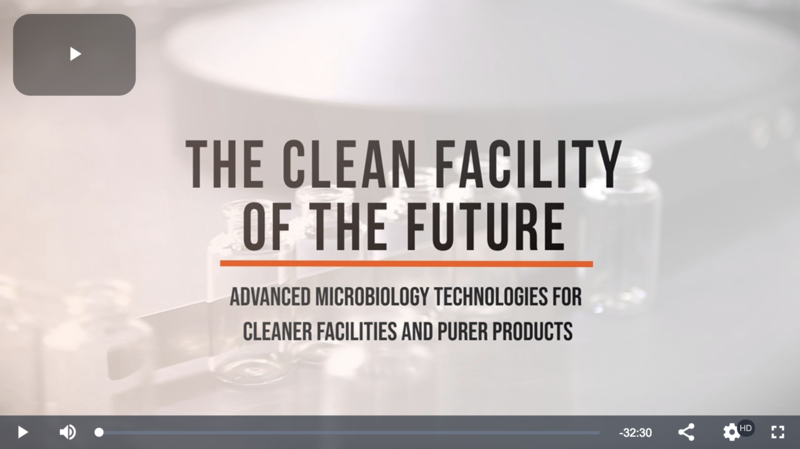 Rapid Micro Biosystems is proud to sponsor American Pharmaceutical Review’s documentary The Clean Facility of the Future: Advanced Microbiology Technologies for Cleaner Facilities and Purer Products. This documentary reviews the tools, techniques and best practices used by biopharmaceutical manufacturers to manufacture high quality products and minimizing batch failures and regulatory interventions. One of the way manufacturers are creating their clean facilities of the future is by implementing Growth Direct™. Note: Clicking on this image will open the video player in a new tab. Listen to the following time points for specific ways automated, rapid QC microbiology detection and enumeration systems like the Growth Direct are helping manufactures with their clean facilities of the future. 6:16 – Dr. David Jones talks about the huge amount of environmental data that is being generated by facilities of the future. 15:00 – Dr. David Jones talks about how good contamination control starts with a risk assessment. 24:40 – Dr. Tony Cundell and Dr. David Jones talk about the advantages of robotics and the benefit of rapid microbial methods. To learn more about Growth Direct, click here. To learn more about The Clean Facility of the Future documentary, click here.